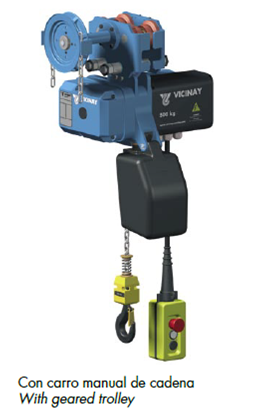 Electric Chain Hoists are built on a die cast aluminium body on which houses the gears and mechanisms for safe load lifting. 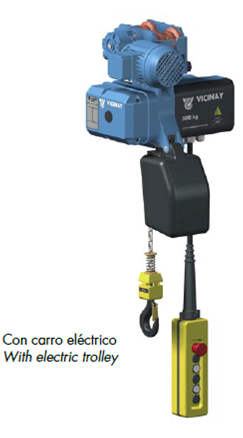 The Electric Chain Hoist Manufacturer has a highly qualified professional team for the design and manufacturing of its hoists. Efficient design and exceptionally safe construction. Unlimited commitment of assistance. We are committed to providing our clients with high quality service in the shortest time possible. The Quality Department ensures that our hoists have been designed and manufactured according to the company’s high standards, procedures and FEM current applicable regulations. 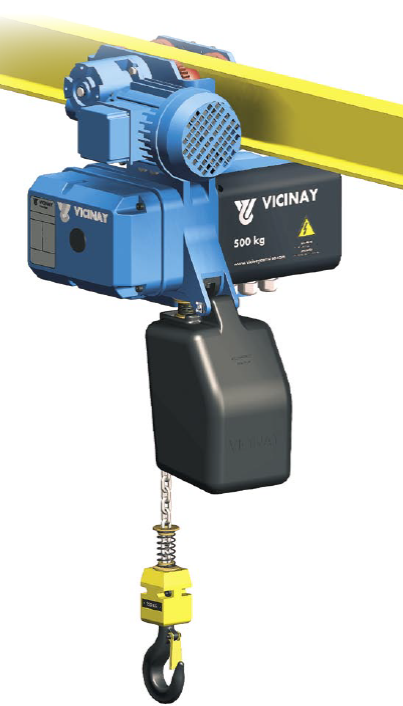 Once manufactured, our hoists are subjected to rigorous load testing prior to delivery. We deliver all our hoists with operating instruction manual, exploded views and parts lists and 12 months warranty extendable to 36 months on request. High strength lightweight aluminium alloy body. Greased and sealed for life bearings and gears. Oil bathed high efficiency load limiters. Calibrated and hardened grade 80 chain according to EN-818-7 specifications. Power supply 230/400V, 50 Hz. Class F isolation motor with IP55 protection. Control pendant with emergency stop button. Tested at our premises with 25% overload. Upper and lower limit switches. From 125 up to 5000 kg load capacity, single or dual speed: five different models (MINI, ABK 051, ABK 101, ABK 201 and ABK 3). Single phase models up to 2000 kg load capacity. ABK with stainless steel chain and load hook. KBA, the inverted entertainment hoist. The ABK for wind turbines. Low voltage 48V control in ABK 051 and ABK MINI (standard in other models). Push, geared or electric travel beam trolleys.